If you'd like to spend the dog days of summer watching classic movies, you've got plenty of options this month. 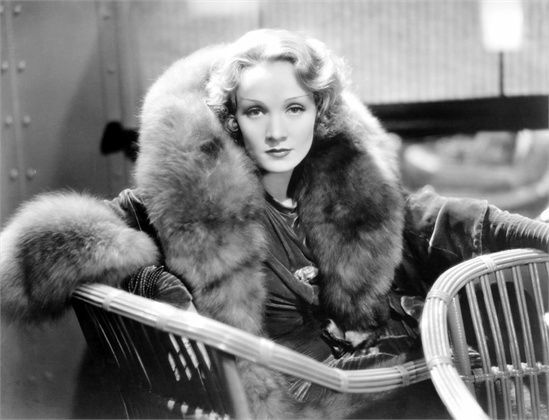 July brought a great group of old Hollywood films to disc, including the six movies star Marlene Dietrich (photo above) and director Josef von Sternberg made at Paramount Pictures, a British masterpiece and a trio from leading man Errol Flynn. Note: The highlighted text has links to purchase the Blu-ray/DVDs. 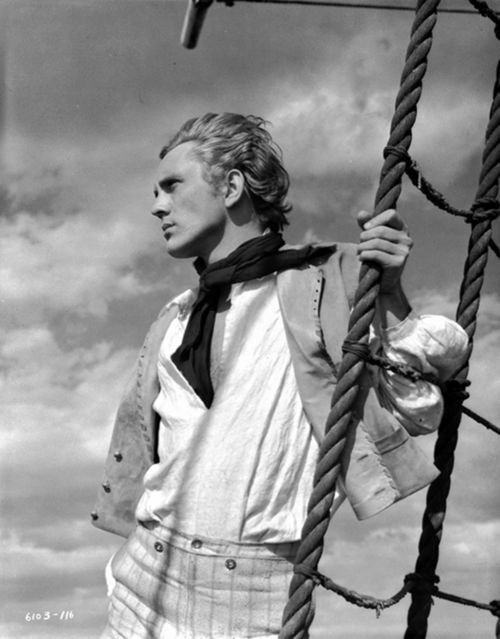 Terence Stamp as the title character in Billy Budd (1962). Billy Budd (1962): This adaptation of writer Herman Melville's seafaring morality tale features Terence Stamp in his screen debut as a naive sailor who is ruthlessly hounded by a cruel officer (Robert Ryan). Little seen for decades, this intriguing film, which was written, produced, and directed by Peter Ustinov (he also play's the ship's captain), is getting a Blu-ray release from Warner Archive. Special features include a commentary from Stamp and director Steven Soderbergh. Dietrich and von Sternberg in Hollywood: The Criterion Collection is living up to its sterling reputation this month with two exceptional classic movie releases. The first is a lavish box-set with remastered versions of the six films director Josef von Sternberg and actor Marlene Dietrich made during the 1930s. For my money, the best bets film-wise are Morocco (1930), Shanghai Express (1932), and The Scarlet Empress (1934), but to truly appreciate their unique body of work, you really need to watch all these movies. As always with Criterion there's a lot of extras, including three essays, two documentaries, and a 1971 interview with la Dietrich. I Walk Alone (1947): Kirk Douglas and Burt Lancaster kicked off their onscreen collaboration with this great noir about two rum-running buddies who reunite after one (Lancaster) does a spell in the big house. There's a lot to like here, including a great femme fatale performance from noir icon Lizabeth Scott. On Blu-ray from Kino Lorber Studio Classics. A Matter of Life and Death (1946): Criterion's second July release is this newly remastered British masterpiece from directors Michael Powell and Emeric Pressburger about an RAF pilot (David Niven) who must fight for his life in a heavenly court. A profoundly moving work of art, this film must have been cathartic to the movie-going public after the dark days of World War II. Cinematographer Jack Cardiff's gorgeous Technicolor cinematography is worth the price of the disc, but there's also a host of extras, including interviews with director Martin Scorsese and Powell's widow, editor Thelma Schoonmaker. Village of the Damned (1960): A peaceful English village is home to a group of highly intelligent, otherworldly children in this horror film that features one of George Sanders' most memorable performances. New on Blu-ray from Warner Archive. 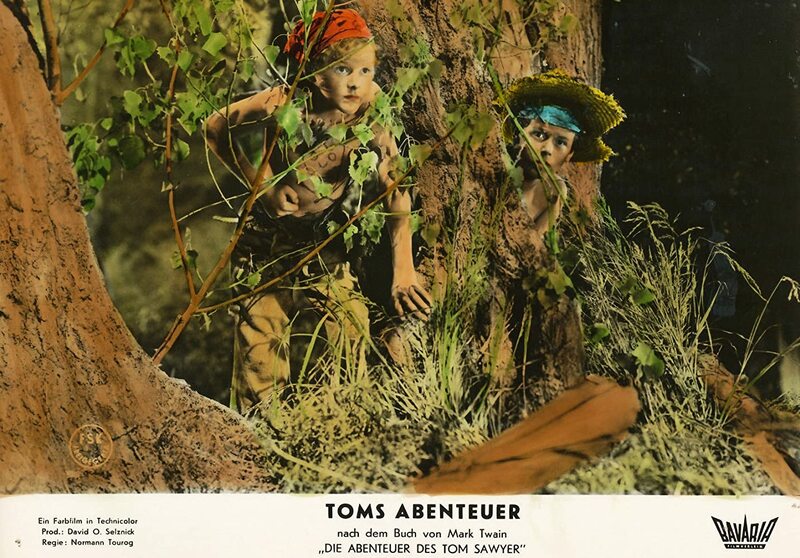 The Adventures of Tom Sawyer (1938): Tommy Kelly plays Mark Twain's free-spirited orphan in this lavish Technicolor adaptation from producer David O. Selznick. A lot of fun, especially when Tom and Huckleberry Finn (Jackie Moran) attend their own funeral. On Blu-ray from Kino Lorber Studio Classics. The Flame and the Arrow (1950): Burt Lancaster buckles a fine swash in this action-adventure about (stop me if you've heard this plot before) a devil-may-care hero who leads a revolt against his cruel overlords while also winning the hand of his lady fair (Virginia Mayo). Lancaster, who got his start as a circus acrobat, does all of his own stunts. Made-on-demand DVD from Warner Archive. Irma la Douce (1963): This follow-up to The Apartment (1960) from writer/director Billy Wilder and stars Jack Lemmon and Shirley MacLaine isn't quite as good as the first film, although the two leads make the silly, convoluted plot worth watching. New HD print on Blu-ray from Kino Lorber Studio Classics. Teresa (1952): This drama about an American G.I. (John Ericson) who marries an Italian woman (Pier Angeli) is overloaded with fifties psychobabble, although Angeli is luminous throughout. Made-on-demand DVD from Warner Archive. The Wreck of the Mary Deare (1959): Best-known as the project director Alfred Hitchcock dropped so he could make North by Northwest (1959), this seafaring mystery starring Gary Cooper and Charlton Heston still has a lot of intrigue. Made-on-demand DVD from Warner Archive. Young Dillinger (1965): Stylish drive-in fare that traces gangster John Dillinger's journey from teenage rebel to a gun-toting killing machine (Dillinger is played by Nick Adams). Thirties gangsters "Pretty Boy" Floyd (Robert Conrad) and "Baby Face" Nelson (John Ashley) also put in appearances. Made-on-demand DVD from Warner Archive. These movies are new to me. If you've seen them, feel free to leave your thoughts in the comments section. 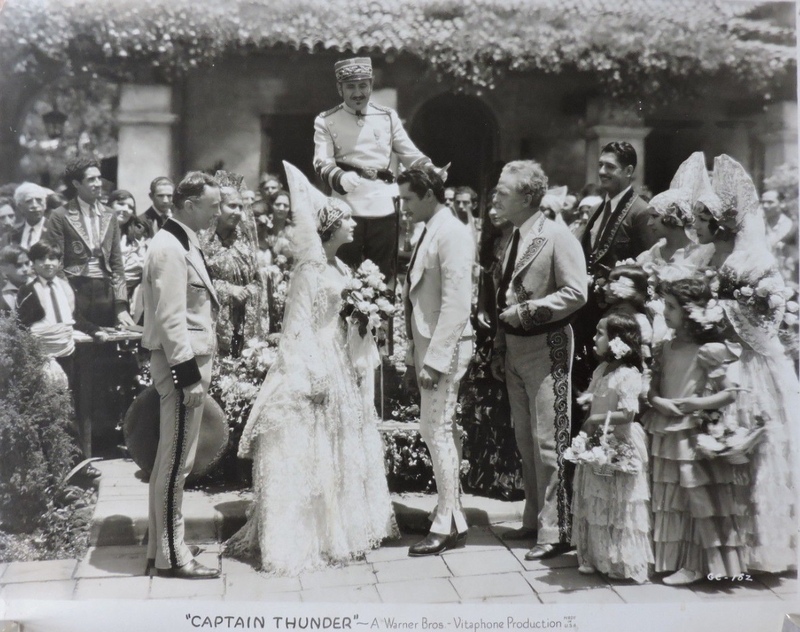 Captain Thunder (1930): This early talkie about a Mexican bandit with the ludicrous name of El Capitan Thunder (Victor Varconi) seems like a lot of silly fun. Pre-code favorite Fay Wray is also in this film as a spicy senorita who captures the heart of Senor Thunder. Made-on-demand DVD from Warner Archive. Flight from Glory (1937): This action-adventure about a group of pilots in the Andes sounds a lot like Only Angels Have Wings (1939), but I'll have to watch it to find out. Made-on-demand DVD from Warner Archive. The Steel Fist (1952): Leonard Maltin dings this Cold War noir for "low production values" in his classic movie guide, but the plot about a young man (Roddy McDowall) who escapes from a Communist country still sounds fascinating to me. Plus, McDowall is an excellent actor who is always worth watching. Made-on-demand DVD from Warner Archive. A Strange Adventure (1956): The good folks at Kino Lorber Studio Classics continue their release of hard-to-find noirs with this B-movie about a hot-rod driver (Ben Cooper) who is forced to steer the getaway car for a group of bank robbers. 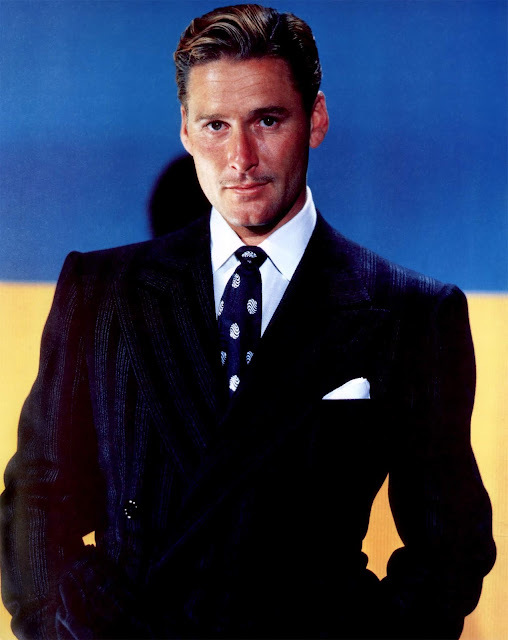 Swashbuckling star Errol Flynn also made his share of World War II movies. Warner Archive recently released three on made-on-demand DVD: Edge of Darkness (Errol's a Norwegian fisherman who leads the resistance against the Nazi invasion), Northern Pursuit (Errol's a Canadian mountie who goes undercover to flush out German spies), and Uncertain Glory (Errol's an escaped French convict who makes an unusual sacrifice). I splurged and bought the Dietrich and von Sternberg in Hollywood collection. I'm planning a marathon the next rainy weekend we have.